So how bad is the rains there? Do feel like you need a best entertainer game to kill some time and just have some fun with friends or family while you wait for the rain to pass on? You can always try on some card games that are fun to play with a group of people. Card games have always been a part of any society. Be it from whichever era it was always there as part of celebrations, social gatherings or during fun times. Card games keep the players engrossed in their own world for a long time allowing them to have either fun or a new learning experience. Learning is a part of card games. The multitude of existing card games in the world means an endless set of games are available at your fingertips. 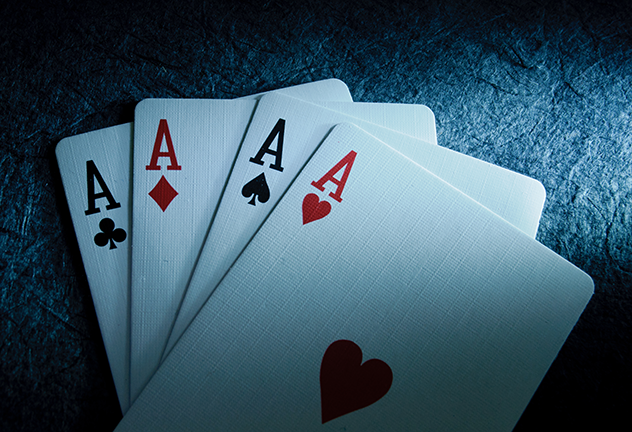 Gain knowledge about the different types of games by learning play rummy. Here are four popular rummy games that you should check out if you are looking for fun filled time pass this rainy season. The Indian rummy or Indian rummy is a cross between gin rummy and rummy 500 commonly played around the world. A group of two to six people can play this game. Each player is given 13 cards which needs to be arranged in sets and sequences, which forms the essence of the game. As per the rummy rules the winner will be the one who manages to complete all sets and sequences at first. What makes this game so interesting is its ability to engross your total attention to it. Memorising, strategizing, adapting and planning ahead is the name of the game. 7 on 7 is a game which can be played by any number of people. The player with 7 of hearts start the game. The next player has to put 6 or 8 of hearts to continue the game. If the next player doesn’t have those cards they will have to pass the chance. All cards are played like this until whoever finishes their cards win. This game is more about blocking your opponent by calculating who has which card. Another interesting game where trust comes to matter more than just a game is the Bluff card game. Any number of players can play this game by distributing all cards in the deck equally. A player starts by putting upto 4 cards claiming them to a set (eg. 4 aces, 3 tens, 2 kings etc.) face down on the table. Anybody can challenge the persons claim and if it’s false they will have to take up the whole set. The player who survives the challenges and first finishes up his hands win. The Donkey is a fun game that can played well with any number of people. Cards are dealt evenly and ace of spade starts the game, followed by the cards of the same symbol. Each set is folded if it’s all the same, but returns to the player who played the highest rank if contradicted by another symbol. The main objective of the game is to get rid of all your cards as soon as possible. The last person with cards left loses the game. So you got to know what you should be doing this rainy season. Now what are you waiting for. Just go get your set of cards, gather your buddies and start playing some card game.